When we are talking about computers and cooling the two things that need serious cooling solutions are the CPU (central processor) and the VGA (video card) as they are the two components that are most powerful in terms of performance as well as use the most power. 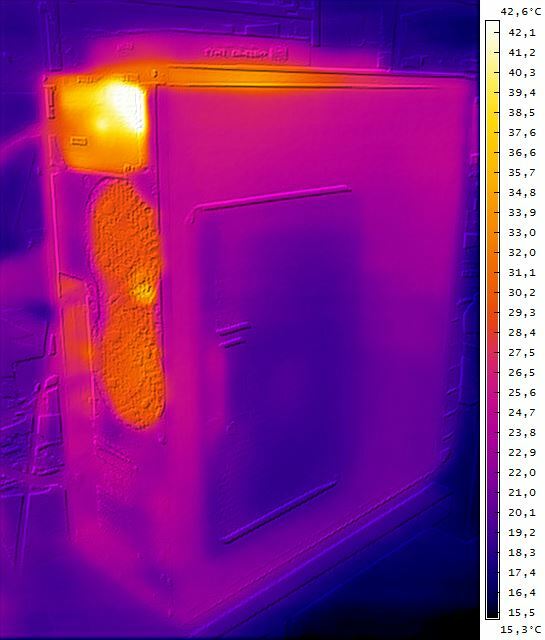 But they are not the only things that get hot inside your computer and if you decide to overclock the system you may end up having trouble due to other overheating components even if the processor and the video card are properly cooled. 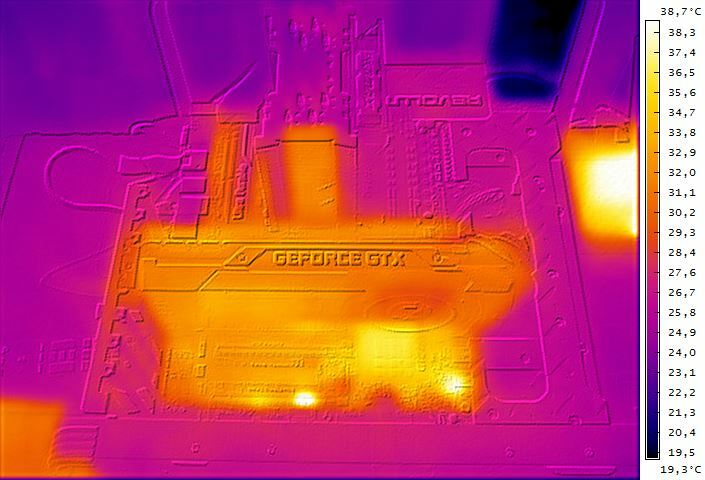 On this thermal image you can see an open frame computer with Nvidia GeForce GTX 980 video card and Intel Core i7 CPU on a Z97 chipset motherboard. The system is running idle and as you can see the temperature of the video card and the processor is higher in general when compared to other components on the motherboard, but there are actually some spots on the motherboard that are hotter than them. Such places are for example the chipset and some additional chips that are responsible for various functions on the motherboard and this is in idle mode, when the system gets loaded with a game or a benchmark things can change. The CPU and VGA will get hotter for sure, but also the mosfets that power the CPU, the memory etc. and if you overclock the system some components may start overheating, so it is not only the processor and the video card that may need attention and proper cooling in your computer.